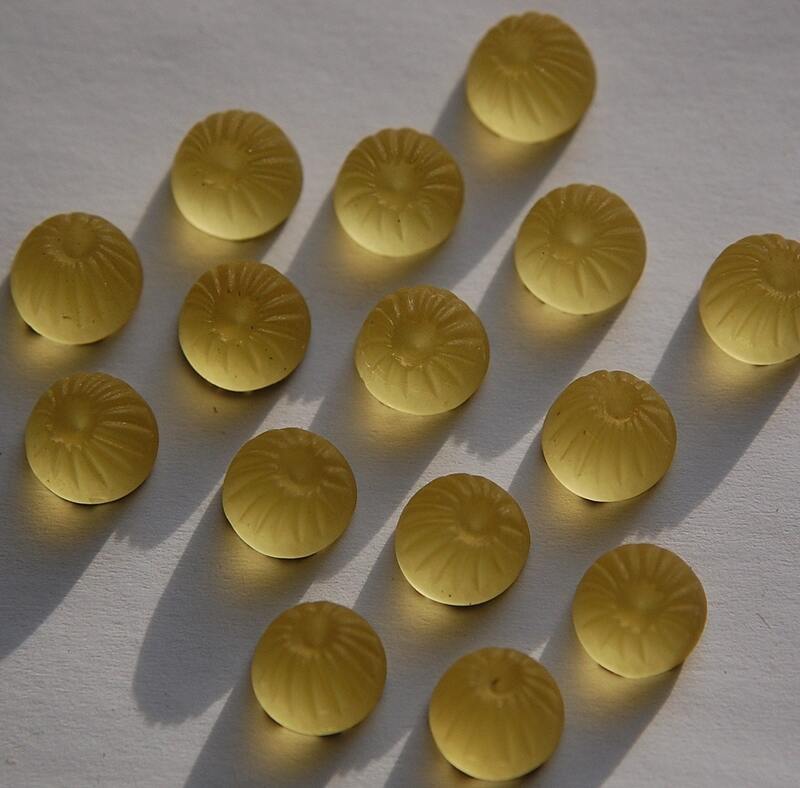 These are beautiful vintage frosted yellow glass cabochons. They were made in Western Germany. They are ribbed with an indent in the top center. You could use them as is or perhaps mount a rhinestone in the middle. These have a gold foil back. The cabs measure 10mm x 4mm high. You will receive 6 of these. All the cabs were really nice. Just as pictured or better. 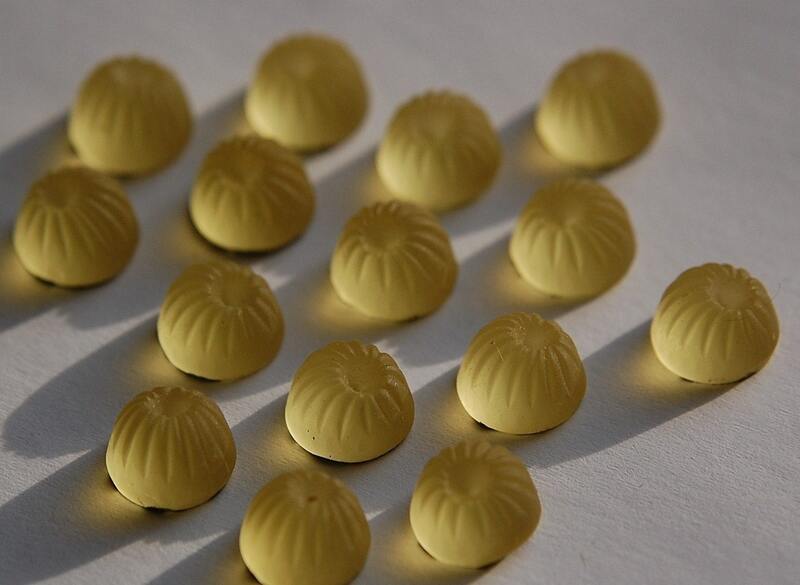 I am so delighted with these pale lemon cabachons....just delicious! Too fun, great size and really look nice.